← Been Quiet – Sorry! 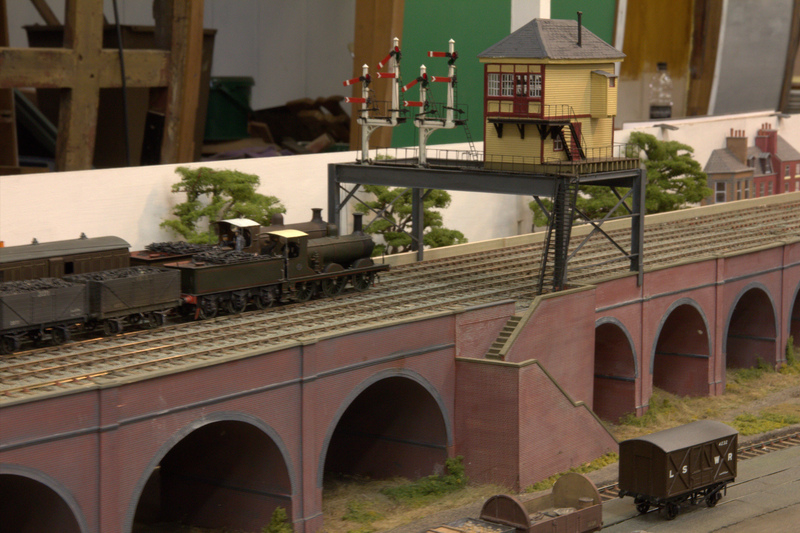 Less modelling has been achieved this week – due to a combination of work taking me a little more afield than normal and also because I was playing with someone else’s trainset. 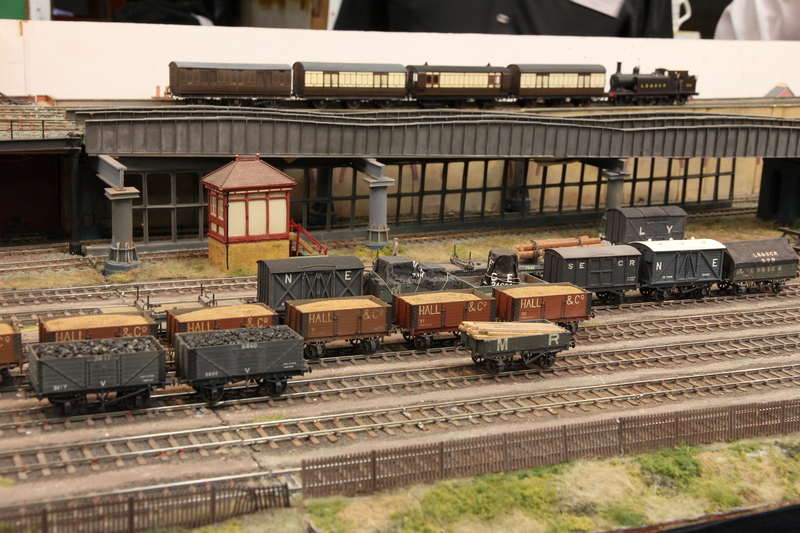 In this case, the layout was Barry Luck’s (with assistance of the Mid-Sussex AG of the S4 Society) Brighton Road. It was shown in the carriage repair shop at Horsted Keynes; so we were serenaded by the sound of the real thing (and the occasional burble of a Sulzer as they had a class 33 working too. I was not totally idle otherwise, as I have had a bash at producing my own artwork for etching. 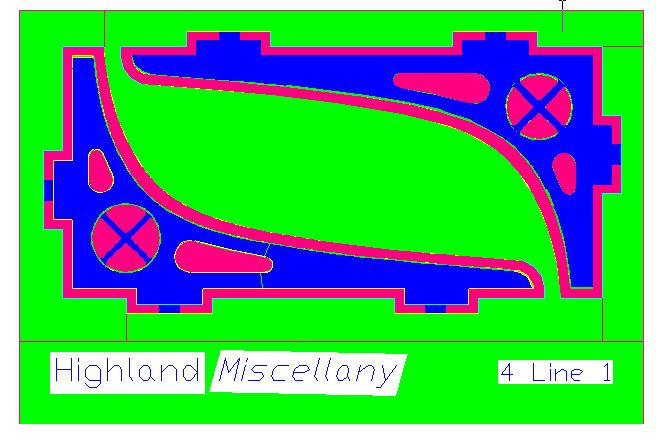 I think this (it is a bracket for a signal a little like the one here https://highlandmiscellany.com/2013/02/03/first-signal-for-glenmutchkin/) is capable of being etched. I’ll be submitting it too Grange & Hodder soon to find out! Whilst I appreciate that there are many that are now quite experienced etch designers, even if this started as a means to forward their own builds, I am still taking first steps in this direction so I am pretty proud of the above. Mind you, I might be counting chickens before……………. Posted on June 30, 2013, in Glenmutchkin, Workbench (other) and tagged Brighton Road, etching, exhibition, Model Railway, p4. Bookmark the permalink. Leave a comment.